Hi and welcome back! 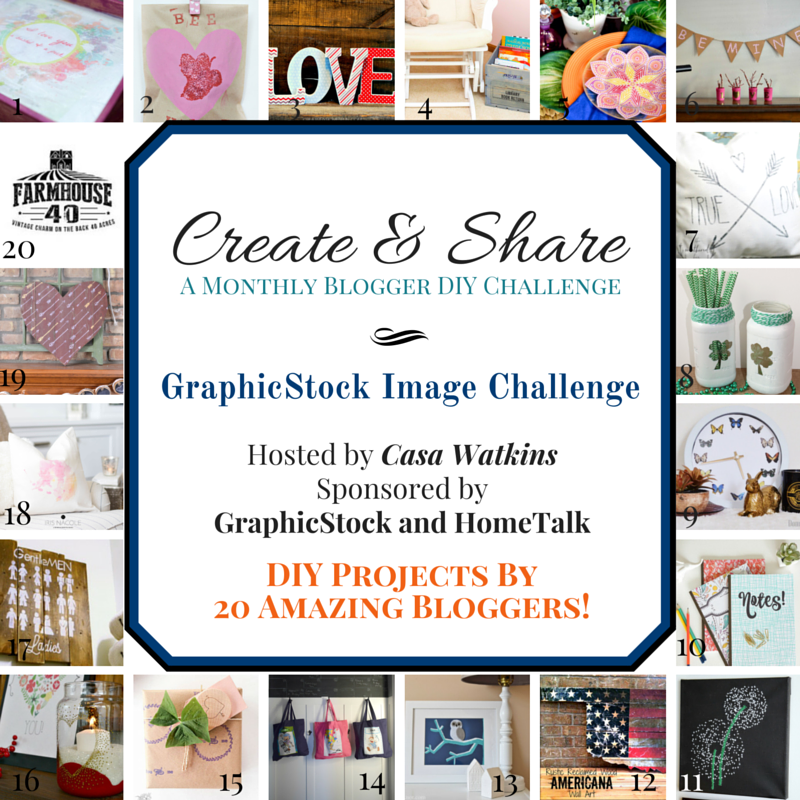 It’s another round of our Create and Share challenge. This months post is sponsored by GraphicStock. We were challenged to use one of their images, vectors or illustrations for a DIY home decor project. Of course my bloggy friends hit it out of the park. And better yet – you get to check out GraphicStock for free for seven days! 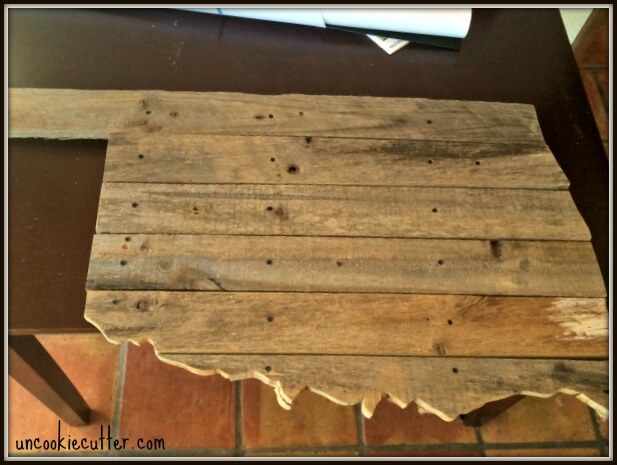 I created a piece of rustic Americana wall art featuring my new home state. This started as an old fence in my friend Misty’s parents yard. When they tore it down, she grabbed all the wood and her and our other friend made some super cool stuff with it. Including this Oklahoma sign. So, I didn’t actually make the sign. But, you could easily do one with a graphic stock image. I’ll get to that in a minute. To make a board like this, download THIS USA map. You could use the whole map, or use a program like PicMonkey to crop out whatever state you want. Resize it and print it out on a low quality printer. Trace it onto your fence, or wood and use a jigsaw to cut it out. Easy peasy! So, since I already had the sign, I had been wanting to put an American flag on it. 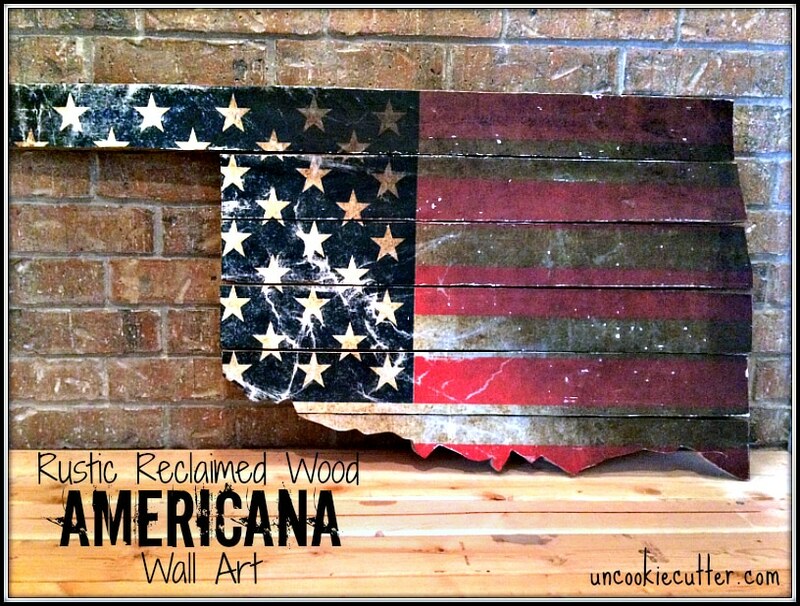 Very rustic and since I now live right off Route 66, I wanted some cool, rustic Americana wall art. But, I didn’t trust my painting skills. So, for me this project came along at just the right time. I found THIS cool flag. I downloaded the image and sent it to Staples to have it printed off. I like their banner paper – it’s affordable and I like the way the images look. Beautiful! First, I traced the state and cut it out. I used small scissors and a razor blade to cut around each board. I did it one board at a time, and used Modge Podge to glue it down. Before finishing, I took a very fine sanding block and gave it a little more character around the edges and a few places. After I had it all done, I put the Modge Podge generously all over the top to make sure it there would be no fraying or pulling away of the paper. That was pretty much it! It was pretty simple and made a big impact. Now I have to figure out where to hang it! So, if you want to check out Graphic Stock, HERE is a code for your seven day free trial. 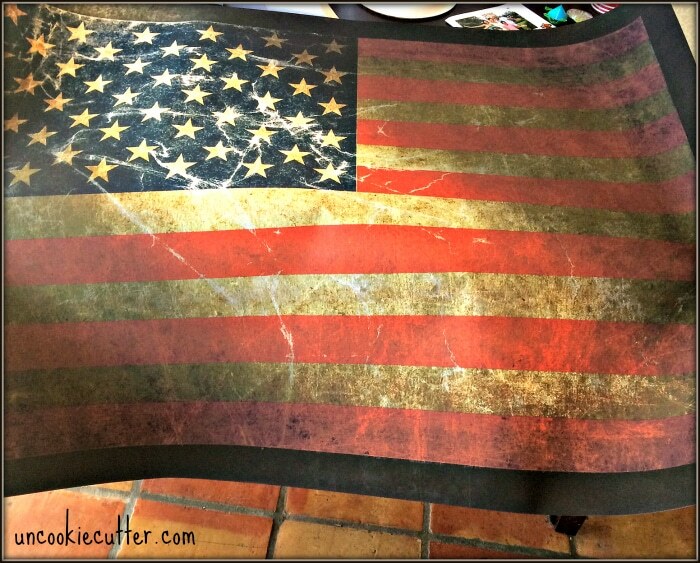 Make your own rustic Americana wall art, or stop by all my friends blogs to get inspired and see what all you can do! 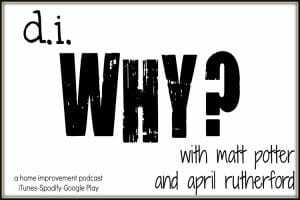 I LOVE this project, April! Such a creative use of a graphic. Awesome job! This is amazing! I was excited to see how you made this when I saw the image in the collage. You did such a great job on this! Such a great idea! 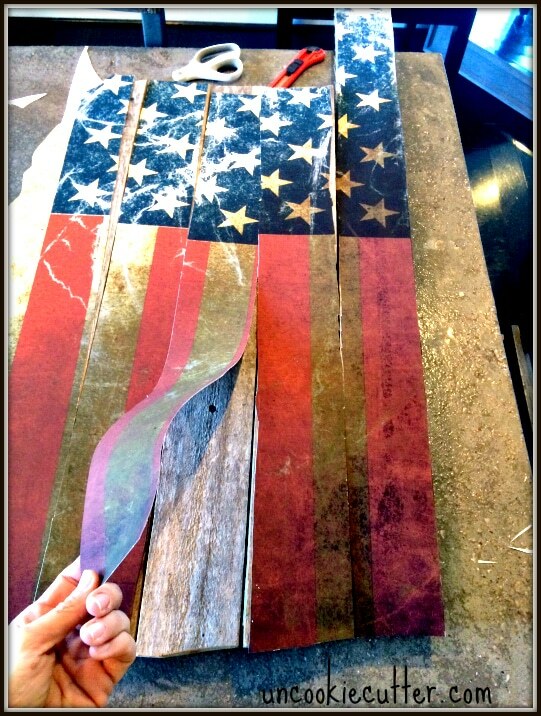 I love the look of the rustic American flag and that you sanded some of it down a bit. Beautiful job! I love how Americana this is. Such a creative use for a digital image. Great job! I love the rustic look! Great work my friend! Can’t wait to see where it ends up!!! This is so cool! 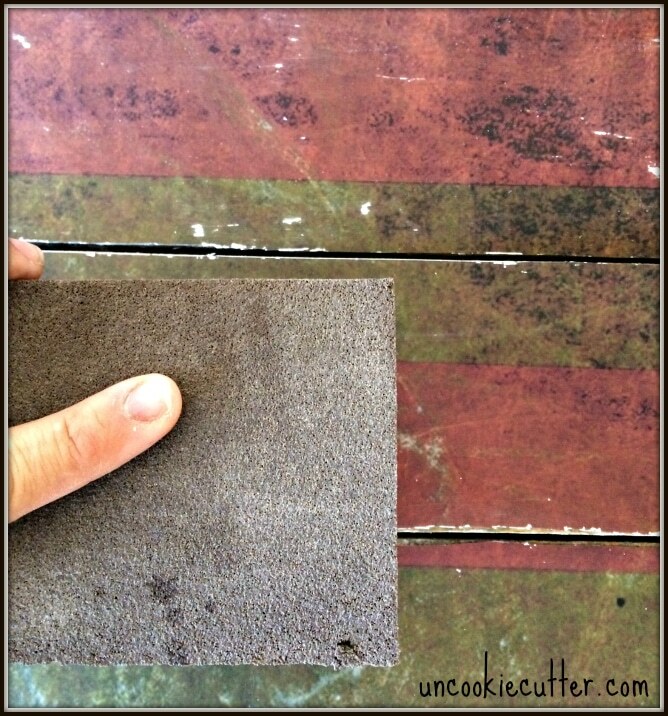 You’re so creative and handy, I always love seeing your projects! Amazing! I love pallet art! Great job! This is so beautiful…love it, Americana proud! April this is AWESOME!!!! I saw your picture and was wondering the entire time how you made it. Looks great!!! Pinning. Thanks for participating in the Create and Share this month! April, you amaze me!!!! This is PERFECT! Thank you so much Sara! I was looking through old IG photos yesterday, you have a similar USA one I think! I saw this and immediately thought how this is something I want to paint (just not in a state shape) for Fourth of July. THEN I saw how you did this with an image you found and had enlarged! Thanks so much for this, fantastic project idea. I am pinning this to my Crafty board and scheduling for Facebook and Twitter! I would love it if you would stop by Celebrate and Decorate and share this at our Celebrate Your Story Link party ~ live now! Thank you Chloe! I just went over to the party, thanks for letting me know about it! Hi April. 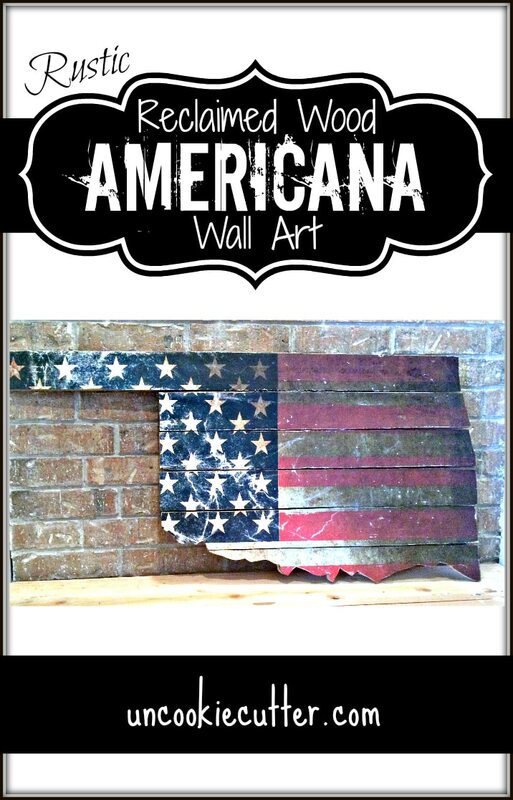 Your awesome Americana decor is Featured at Two Uses Tuesday! Hope you stop by! That sign is so Awesome! Thank you so much for sharing this pin on the P3 party Board! I love it and it will be featured on the blog and my social media tomorrow! So look for a little traffic from me! Wow, thanks so much Kim! So excited, thanks! It turned out so well! 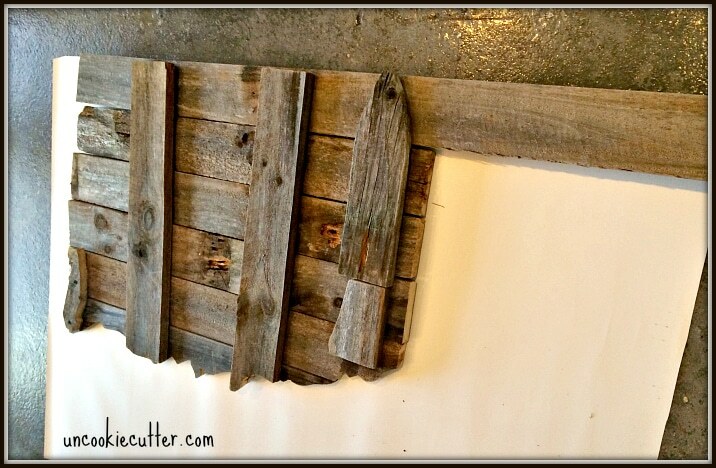 Such a great way to upcycle old wood. 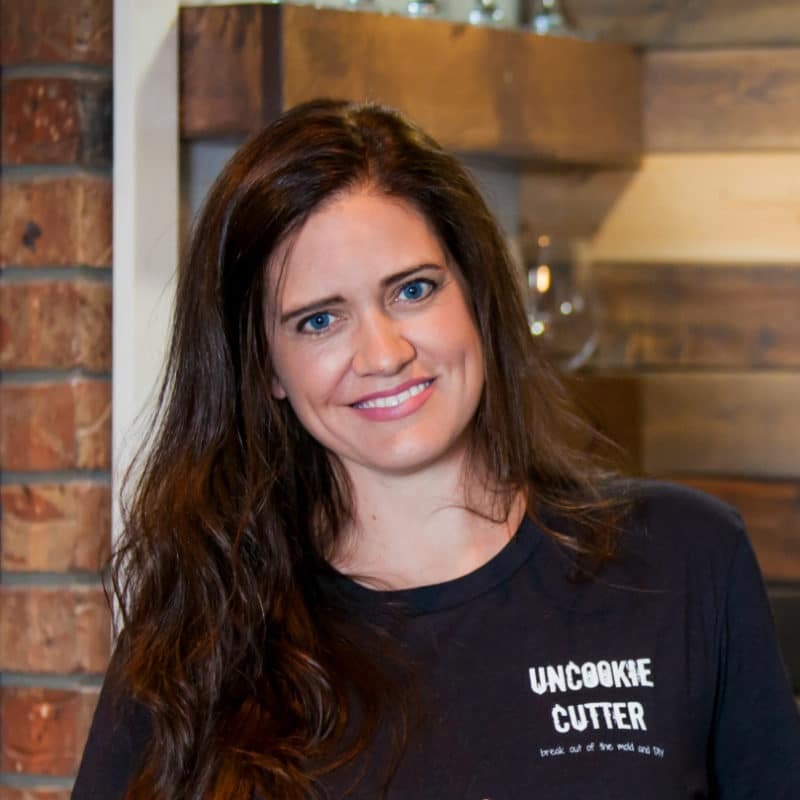 Love the rustic look and thanks for sharing at Celebrate Your Story. Hope you join us again! This is gorgeous… pinned for later! Thank you for sharing at the Celebrate Your Story Link Up Party. Love it!! This turned out really well with the printed paper flag. I LOVE-LOVE-LOVE this!! Thanks for the how-to, you’ve inspired me to give it a try. Just curious, what size is yours? Thank you Sissy! It’s about 4′ long from the eastern edge to the western edge of the panhandle. Hope you give it a try, I would love to see a pic if you do!